‘Rocketman’: New Images Reveal Taron Egerton’s Whimsical Transformation into Elton John!! Check It Out!!! | Welcome to Moviz Ark! 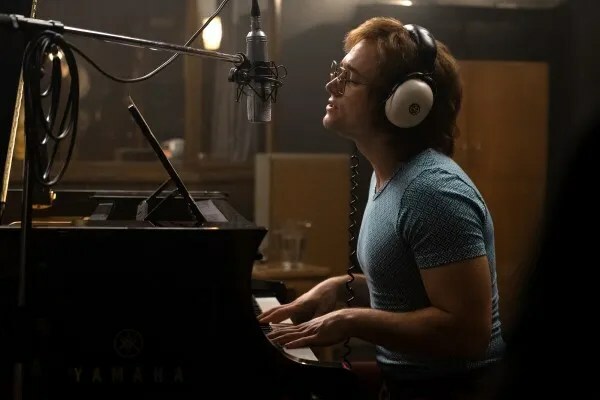 ‘Rocketman’: New Images Reveal Taron Egerton’s Whimsical Transformation into Elton John!! Check It Out!!! Paramount Pictures may be about to release a new trailer for Rocketman ahead of the film’s Spring 2019 release, since the studio just unveiled new images of Taron Egerton‘s transformation into the musical legend, Elton John. Taking its name from John’s world-famous 1972 single Rocket Man (“I Think It’s Going to Be a Long, Long Time”) from the “Honky Château” album, the movie goes back in time to tackle the rising stardom of the now 71-year-old, award-winning musician. 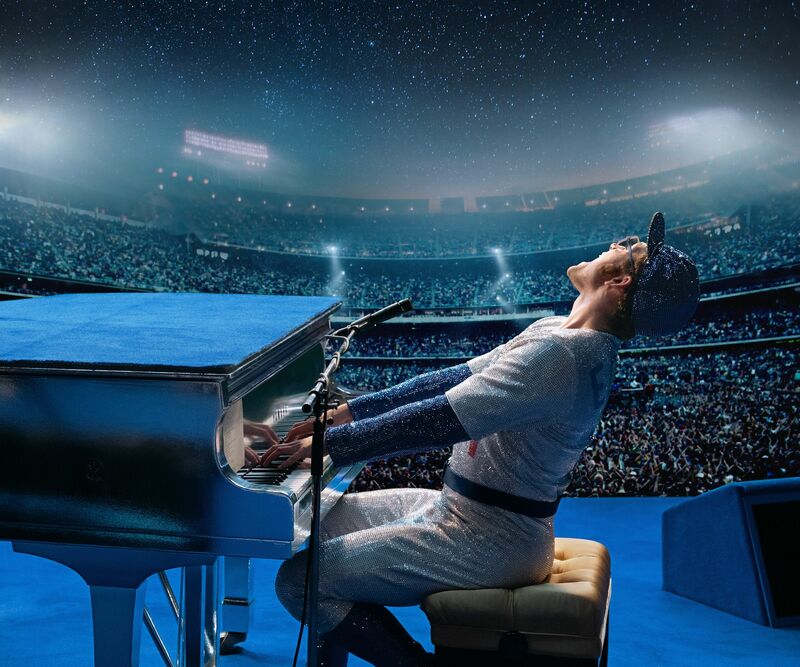 But as previous pitches for the movie (and the thin, official synopsis itself) have described it, Rocketman is more of a musical fantasy story than a biopic, centering on Elton John’s early years in the music business. Expect a dramatized retelling of his life and career from his time at the Royal Academy of Music through his rise to fame, struggles with drug addiction, and his partnership with Bernie Taupin. Could a new trailer that sheds a little more light on director Dexter Fletcher‘s take on Lee Hall‘s script be on the way? Stay tuned. 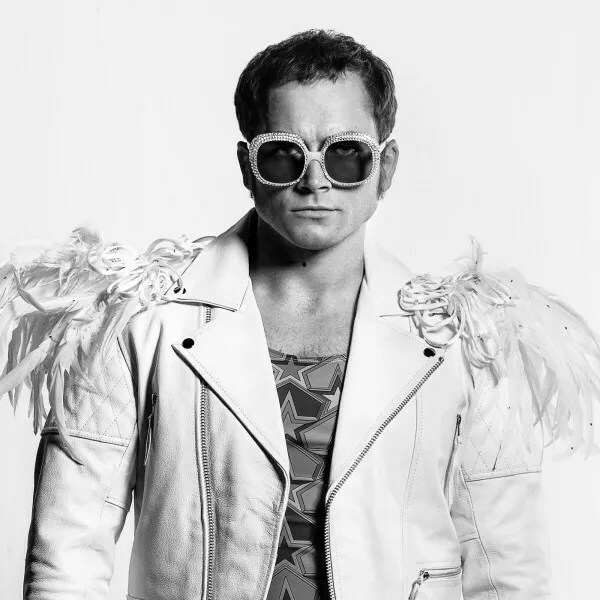 Also starring Jamie Bell, Richard Madden, Bryce Dallas Howard, and Gemma Jones, Dexter Fletcher‘s Rocketman opens May 31, 2019. ← ‘Simply Halston’: Ewan McGregor To Star In The Limited Series!!! !